A modern chandelier is often created combining classic elements with new techniques. 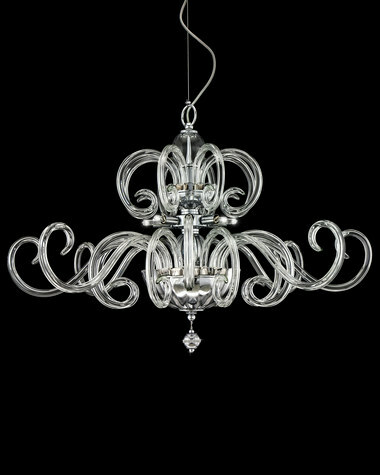 The term modern chandelier captures a tremendous assortment of styles. The Amadeus pendant light collection offers classic handcrafted crystal glass parts and modern design elements. The stunning scrolls and crystal details perfectly fit an elegant and stylish ambiance.